Hi everyone! Today was a busy day for those of us on the MYO 2018 Europe Tour. We met up with chaperones and friends for breakfast somewhere between 7 and 7:30 AM, and by 8:00 AM rooms were being checked and people were heading down to the lobby. Our groups were assembled for a headcount and we were off to Vienna by 8:45 AM. Today was one of the days I was most excited for. On the Spain tour, our travel days were the days we all truly became family. I expected the same from this tour and, thankfully, I was not disappointed. Our time on the bus was spent snuggling, laughing, singing, playing recorders maybe, and celebrating birthdays. Happy birthday, Caitlin Rinaldi! About two hours into our bus ride we made a rest stop. We were still in Czech Republic and most people decided to try and spend a good majority of their Koruna. It worked. We got snacks for days. Jocelyn and Emily, two of our tour chaperones, even found chocolate shaped like violins! We boarded the bus after our 25 minute visit to the rest stop and got back on the road. At 1:00 PM we made a pit stop for lunch. Due to the heavy rain, loads of traffic and lack of anything else good near us, the buses stopped at McDonald’s. We were given 45 minutes for lunch. To say the least, this was not enough time for 100 kids to order, receive, and eat, 10 chicken nuggets, an Oreo McFlurry, and a box of french fries. Thankfully, some of our chaperones were very understanding and our time was extended to an hour. You guessed it! We then got back on the bus. 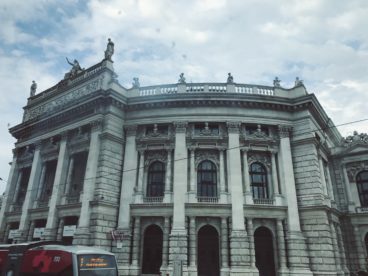 The buses finally got us to Vienna at 4:30 PM. Tour members bolted inside and patiently awaited their room keys. We had about two hours free time in the hotel before dinner and most of us used that time to get dressed up and ready for another spectacular dinner in Europe. 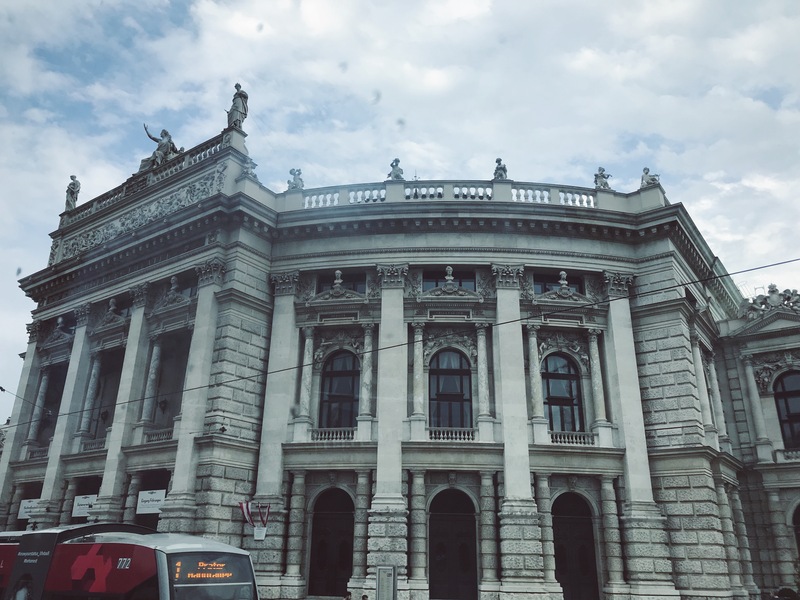 The drive to the restaurant gave us a sneak peak at some beautiful Austrian monuments that I am hoping we get to see in more detail tomorrow on our tour. As we pulled up to the restaurant, our tour guide Kristel announced we would be eating with the mayor. Unfortunately that was just a joke. However, we did eat next door to the Mayor’s house. Tonight ended up being my favorite dinner. Who knew traditional Austrian cuisine tasted just like matzo ball soup, big spring roll type things, and pancakes?! Our night was concluded with fun free time in the hotel with friends and a check in with our favorite chaperones. Tonight we rest so that tomorrow can be enjoyed just a bit more. Goodnight! Can’t wait to fill you in on what the MYO tour does tomorrow!